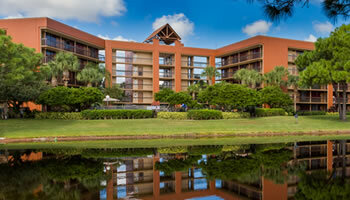 The magic is definitely in the air at the Clarion Inn Lake Buena Vista, a Rosen hotel. This Good Neighbor Hotel is less than two miles from Disney Springs and Walt Disney World® theme parks. Nearby are the Orlando Vineland Premium Outlets and the Lake Buena Vista Factory Stores. But what makes Clarion Inn Lake Buena Vista truly enchanting and not just an ideally located hotel in the middle of so much to do is it’s lush, tropical landscape creating an oasis of luxury next to the capital theme park of the world. As our special guest, you receive an exclusive 25% discount when you dine at Boardwalk Buffet. Explore the creative spread for breakfast or dinner. Simply present your RYAC ID card at the time of service for your discount.